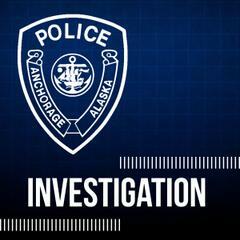 Several reports have been made this week in reference to suspicious people in the Eagle River & Chugiak area, who were reportedly approaching children and acting inappropriately. Although the circumstances were similar, descriptions were not and some were too vague to develop a suspect or suspects at this time. Detectives were able to determine the reports aren’t related and that no actual crimes had occurred. Detectives were also able to determine one report was legitimately a pet owner looking for their missing dog (who was later found). While no children were harmed, these situations serve as a reminder for families to discuss with their children about Stranger Danger. The conversations should include topics such as personal safety, not talking to strangers, avoiding getting into vehicles with strangers even if they say they know you or your family, no walking off alone, create a buddy system and more. APD is grateful for the children and adults who saw something suspicious and made a report. Anytime you see something or hear something suspicious, say something. No arrests have been made and detectives aggressively continue to follow up on leads. If you have any information about these investigations, please call Dispatch at 311.